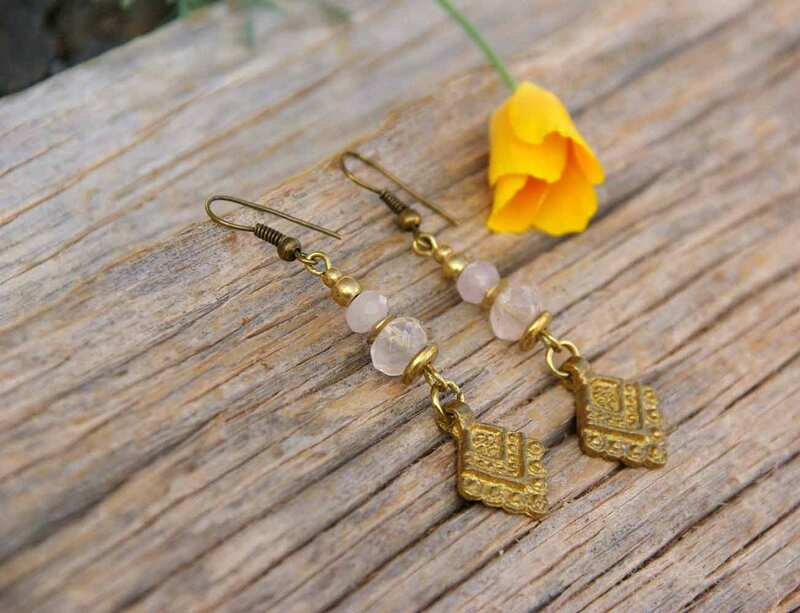 "Fairy" earrings Mod. 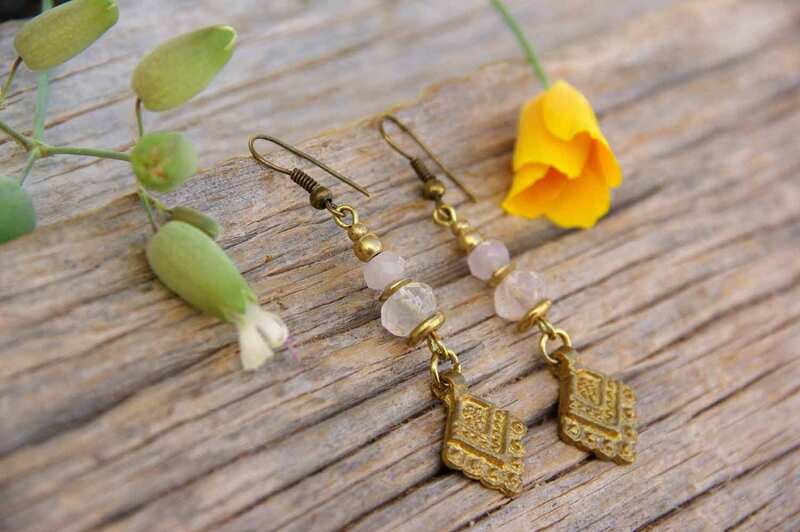 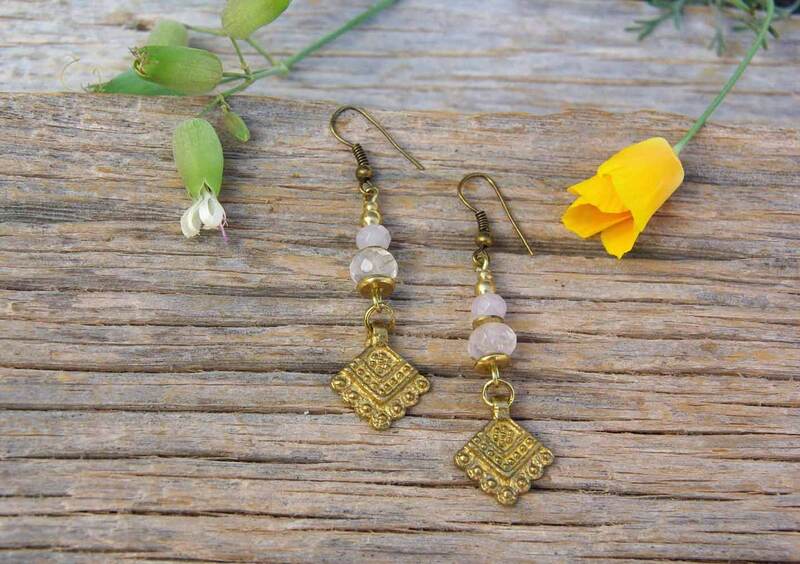 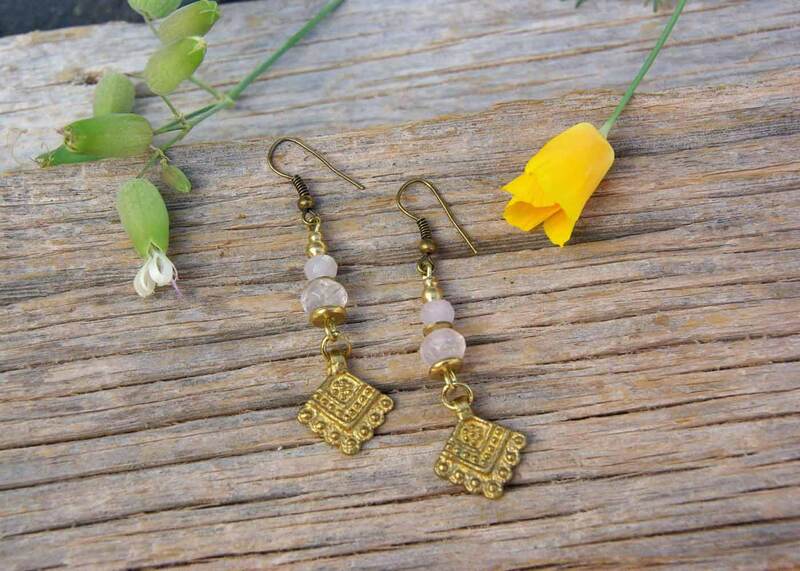 Alex, made of brass wire with 2 rose faceted quartz and Indian brass charms. 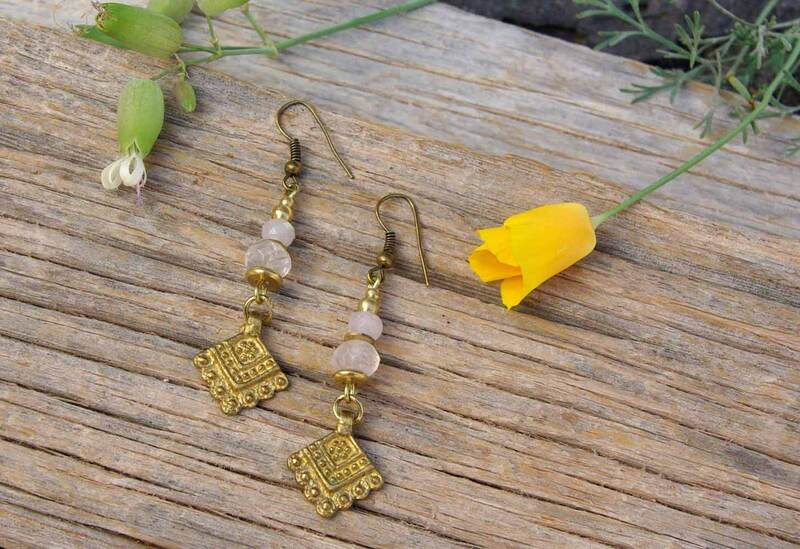 This metal it is nickel free and is water resistant so it is perfect for jewelry. 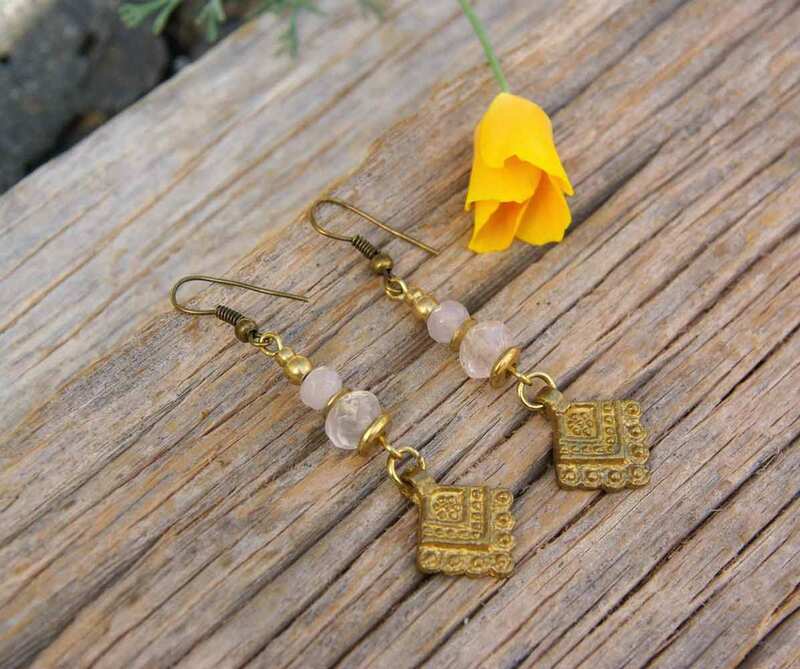 The earrings have silicone bumpers so you do not lose them.